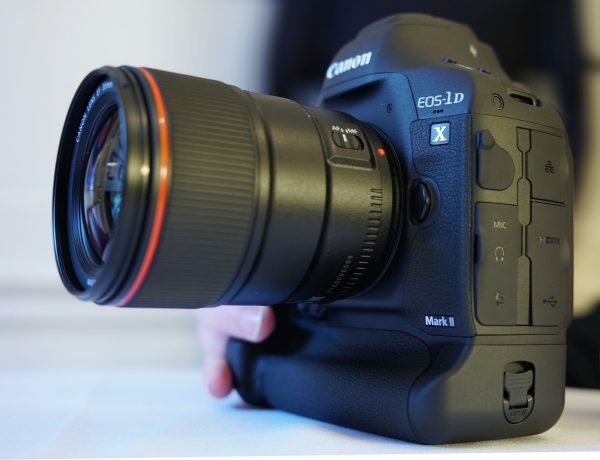 The EOS-1D X mkII is the new 20.2MP CMOS flagship DSLR camera in Canon’s range, squarely aimed at the working professional photographer. It takes the best features of the previous 1D X and improves on them. It shoots stills at a phenomenal 16 frames a second (14fps with continuous AF), has amazing low light capabilites (up to 409600 ISO for stills) and is designed to meet the needs of photojournalists and multimedia shooters who want the ultimate photo camera. It is also designed for those photographers who may also need to shoot video from time to time. Although it’s primarily a photo camera it also has most of the video functions of the 1D C. It is not however a direct replacement and doesn’t have the Cinema EOS designation. In terms of framerates it is improved and now shoots 8-bit 4K DCI video at up to 60fps. It does this using a 1.3x crop of the frame. You can shoot full-frame HD too, but this is a resampled image much like the 5D mkIII. 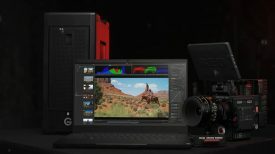 There is no full-frame 4K. HD 120P slow motion video is included. 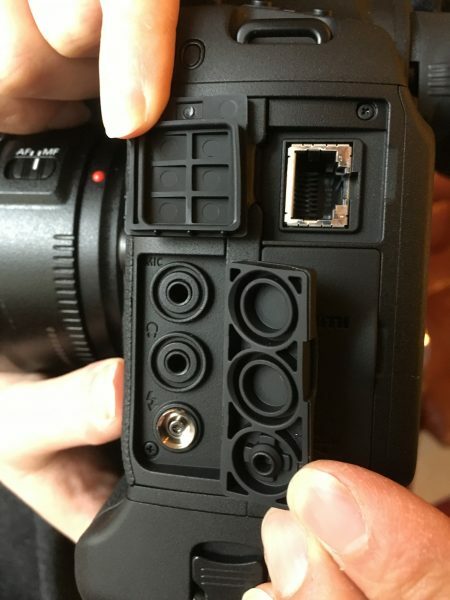 The camera has both CF and CFast 2.0 card slots. 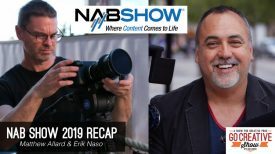 Video is recorded in the MJPEG format at up to a whopping 800Mbps at 60 fps (500Mbps at regular frame rates), this makes for giant files but gives users the ability to grab individual still frames from the 4K video without GOP compression artifacts. Indeed, you can now choose still frames from a video file directly on the back of the camera in the same way you can on some Panasonic models. You can also record at lower resolutions but there is no proxy system unlike cameras like the Sony a7S II. The images are recorded to a CFast 2.0 card in the case of 4K video, or Compact Flash if you don’t need the fastest framerates and bitrates. The full-frame sensor has a 1.3x windowed crop for 4K shooting. There is a clean HDMI output but it is limited to HD only. This is useful for monitoring, but in this day and age you might expect it to also deliver 4K for external recording. The absolute best video feature of the 1D X mkII is the introduction of dual pixel CMOS AF with a touchscreen control function. This system is similar to the C300 mkII , with the ability to AF over almost the whole image area. What’s great is that the touchscreen adds a much needed usability boost. Now almost anyone can achieve rapid focus on common subjects at the press of a screen. Like the C300 mkII you can also alter the speed of focus. This can be used to easily make natural (ish) looking focus pulls between objects. You can’t make really slow focus pulls, but for many users it will be very useful. There is also a face tracking AF function that works exactly like the C300mkII. You can toggle between faces and set the speed of tracking. For the average sit down interview this is incredibly useful. The 1D X mkII is a match for the 1D C in almost all areas but lacks a C-Log mode. 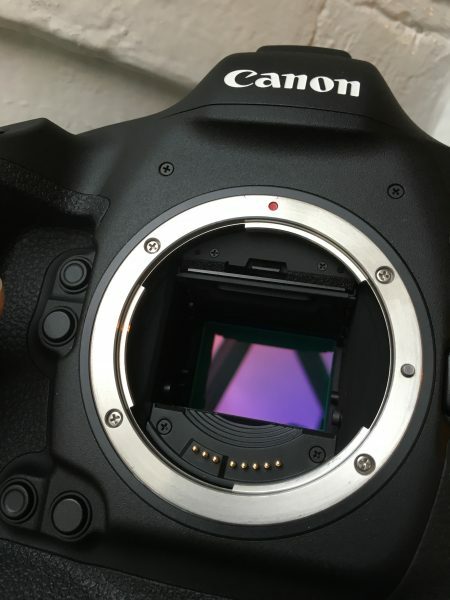 The new camera only has regular picture profiles – although you should be able to create and load ‘Log like’ profiles in the same way users did with the 5D mkII and III. 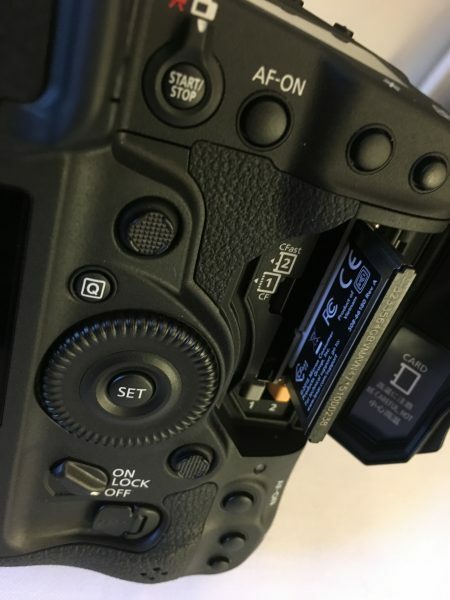 For many users the lack of C-Log on the 1D X mkII might not actually be that important. I used to own the 1D C and because of banding in skies and other areas of smooth tonal graduation I rarely used C-Log, preferring a regular profile instead. If the camera had 10-bit for 4K video that might be a different matter. What will matter to many is the overall look of the image. If it is close to the ‘Canon look’ we have all become accustomed to then it will be good enough for many occasional video shooters. In the hand the camera feels much like its predecessors. Because the body shape is largely unchanged from the original 1D X it doesn’t have any of the improvements we’ve come to expect from more video centric cameras. This camera is designed to be familiar to photojournalists and sports photographers. The layout is very similar to every 1-series camera that went before it. Perhaps the only noticeable differences are the slight bulge for the GPS unit on top of the pentaprism, a slightly more ‘grippy’ and comfortable handgrip, and the relocation of the remote terminal to the other side of the camera body. 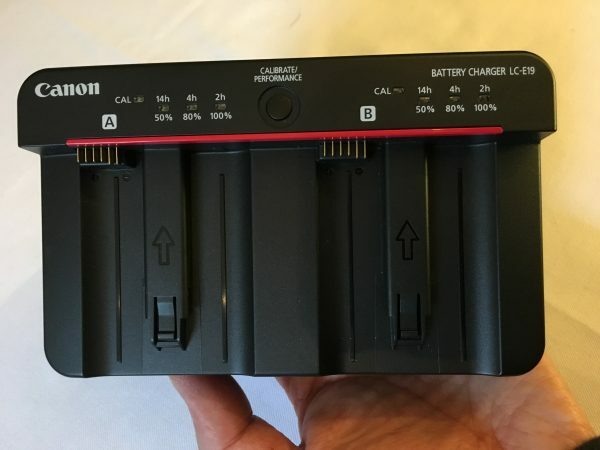 The batteries from the 1D mkIV, 1D X and 1D C will work but there is also a new charger and higher performance battery dedicated to the camera. The rear screen is a 3.2″ Clear View II LCD with 1.62 million dots – another improvement over the predecessor that should help users of Zacuto’s Z-finder. The new dual battery charger is more compact than the previous one. There’s no electronic viewfinder, no built-in neutral density filters, no XLR audio option, no peaking, no focus magnification while shooting, and no tilting rear screen. 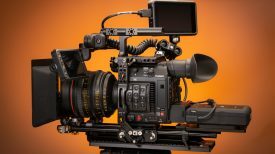 To make the 1D X II work as a video DSLR you will need many of the accessories that users of the 5D and earlier 1D cameras will be familiar with – Zacuto Z-finders, shoulder rigs and XLR audio adapters are the order of the day. If you are looking for your camera to have every professional video feature then you should perhaps look elsewhere. If you needed to use the 1D X mkII as your main video camera you could – but there are many more straightforward options these days. Where the camera may come in handy in professional video production is for drone, gimbal and underwater use. Also as an installed remote camera head in inaccessible areas. 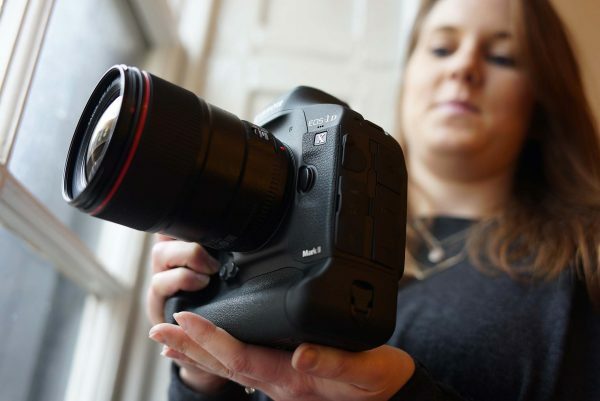 The camera can be fully controlled remotely using Canon’s own software and there are options to use a built-in wired ethernet connection, or a wireless transmitter. Imagine using it in the rafters of a sports stadium, or on a space rocket launchpad for instance. You can see a live preview on your computer or iPad, but sadly it seems you can’t send a live clean video feed over the ethernet connections. The files shot can be accessed remotely which may be useful for some users – although if you shoot 4K it may take a long time to transfer. 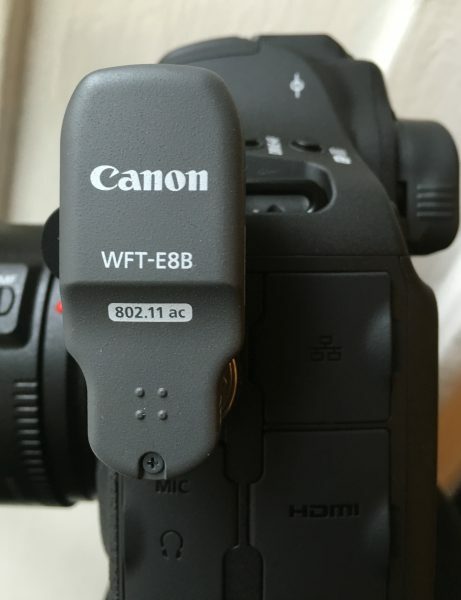 The new WFT-E8B wireless transmitter add-on. Talking of wireless transfer there is a new wireless transmitter, the WFT-E8B which uses the newest 802.11 ac standard. This adds easier connections and remote access for large news organisations. I expect the 4K video image from the 1D X mkII to be similar to that of the 1D C. If I was a photographer who wanted a stills camera to shoot fast moving action then the 1D X mkII would be top of my list. Having 4K video is a nice addition and useful for some. The direct comparison is the Nikon D5 which is limited to 3 minutes of 4K video when recording internally – clearly Canon win on that count. The other main use for the camera will likely be as a cheaper 4K b-camera to match a C300 mkII. This should work if you use standard picture profiles. The 1D X II could also be good as the master camera for some subjects in situations where the touch screen AF would be a benefit. The camera will be available in April for just under $6000 US.